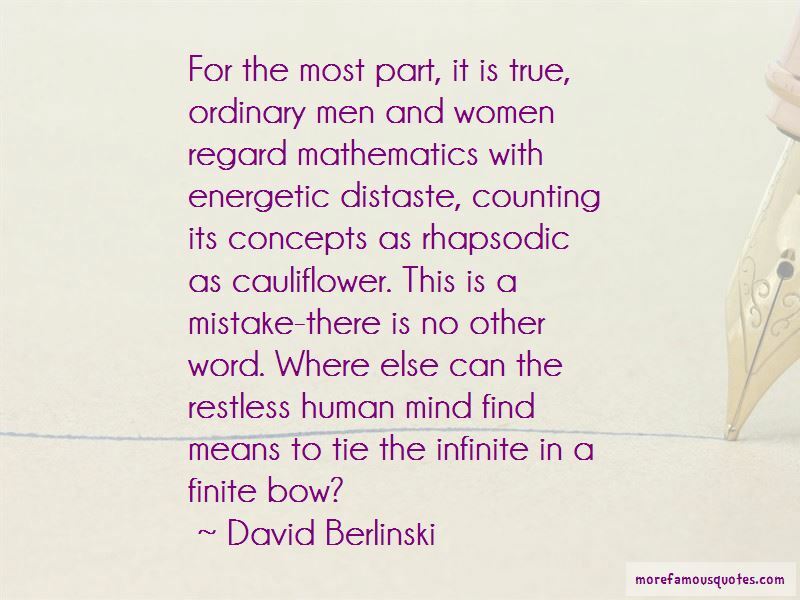 Enjoy the top 48 famous quotes, sayings and quotations by David Berlinski. Commentators who today talk of 'The Dark Ages' when faith instead of reason was said to ruthlessly rule, have for their animadversions only the excuse of perfect ignorance. Both Aquinas' intellectual gifts and his religious nature were of a kind that is no longer commonly seen in the Western world. A defense [of religion] is needed because none has been forthcoming. The discussion has been ceded to men who regard religious belief with frivolous contempt. Their books have in recent years poured from every press, and although differing widely in their style, they are identical in their message: Because scientific theories are true, religious beliefs must be false. Children of the Enlightenment do not, of course, dwell overly on the dreadful acts undertaken in its name when the Enlightenment first became a living historical force in France: all perished, all-/Friends, enemies, of all parties, ages, ranks, /Head after head, and never heads enough /For those that bade them fall. But of all the human emotions, curiosity is the one least subject to the general proscription against gluttony, and once engaged, even if engaged initially in the service of religion, it has a tendency to grow relentlessly, until in the end the scholar becomes curious about the nature of revelation itself. For all the great dreams profitlessly invested in the digital computer, it is nonetheless true that not since the framers of the American Constitution took seriously the idea that all men are created equal has an idea so transformed the material conditions of life, the expectations of the race. "Young men wish always to dream of what they have lost." "Of what they have not found." Arithmetic is where the content lies, and not logic; but logic prompts certainty, and not arithmetic. 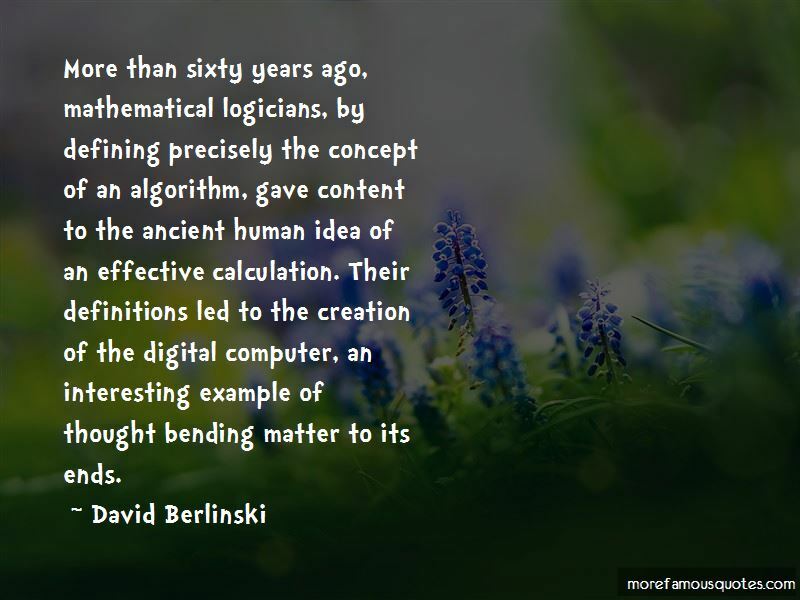 More than sixty years ago, mathematical logicians, by defining precisely the concept of an algorithm, gave content to the ancient human idea of an effective calculation. Their definitions led to the creation of the digital computer, an interesting example of thought bending matter to its ends. 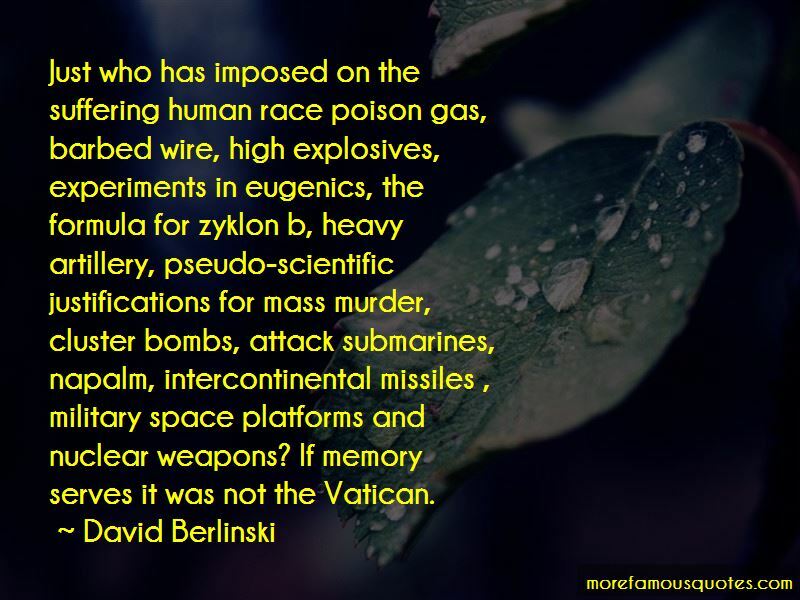 Want to see more pictures of David Berlinski quotes? 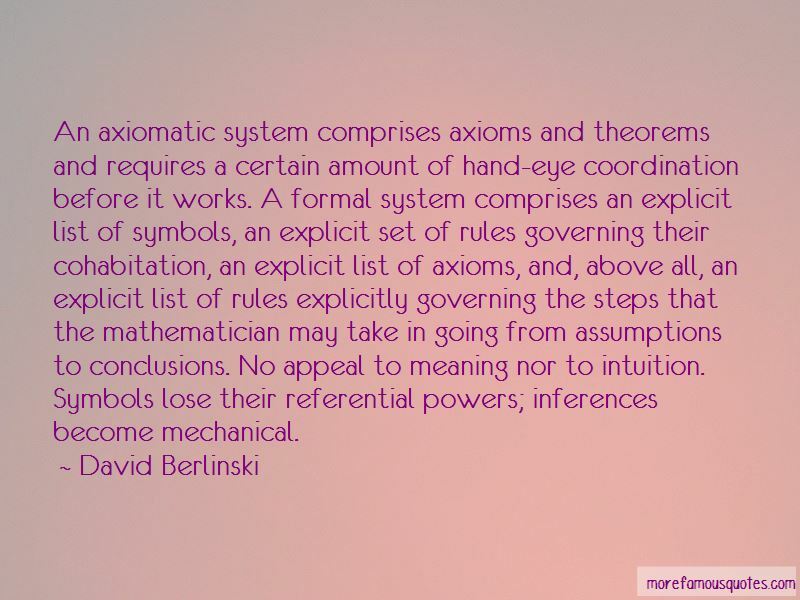 Click on image of David Berlinski quotes to view full size.